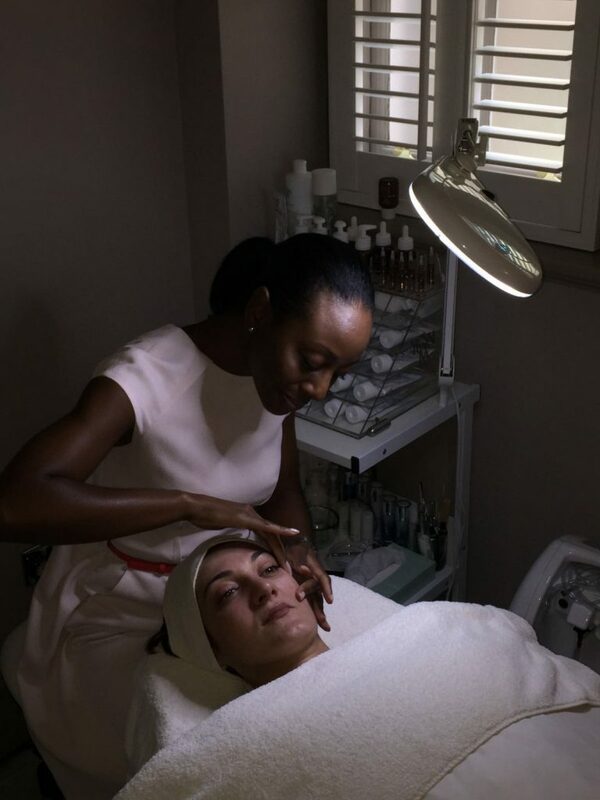 Having heard many things about the age defying CACI facial, much loved by celebs the world over including Jennifer Lopez, I got the opportunity to try it for myself with Chelseé Lewis at Nicky Clarke London. 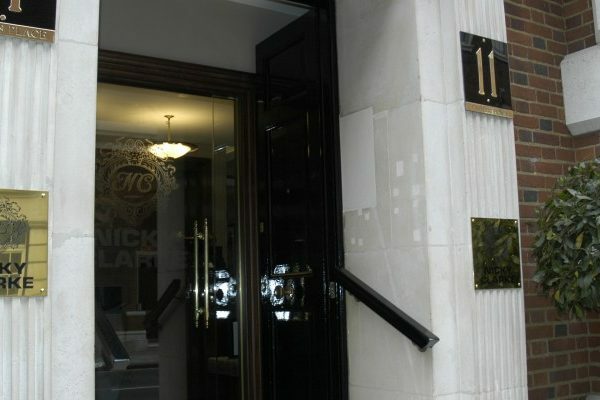 On a grey rainy London day I Uber’d myself to the swanky Mayfair salon, which is a stones throw from such London icons as Claridges and Bond Street, to see what the CACI facial is all about . . .
Once I had checked in at reception I waited for Chelseé in the waiting area, Chelseé then came out to greet me and take me to her treatment room at the back of the salon. Although the treatment room is small it is well decorated with calming candles and flowers and a treatment bed with plush white towels. Chelseé started off by asking me about my history of facials then followed up with a thorough analysis of my skin to decide what my skincare needs were and what products suited me the most, after the consultation I laid down on the bed ready for the CACI Ultra machine in the capable hands of Chelseé to work her magic. 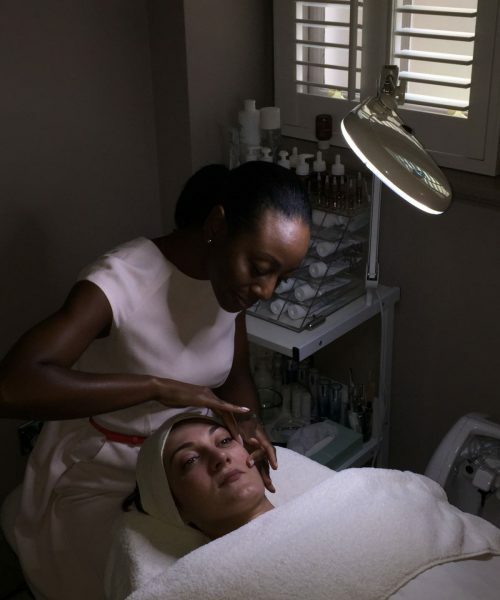 Chelseé Lewis specialises in the best beauty treatments from toning to non-surgical facials and has been in the beauty industry for 20 years. She has worked with some of the most renowned people and product houses in the industry, including CACI, learning her expertise over the years. 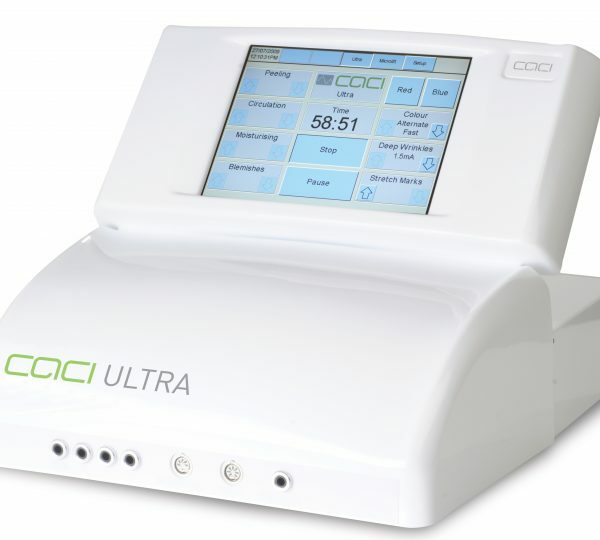 Chelseé uses the CACI Ultra machine to perform the CACI Ultra facial, which tones and lifts the skin. After cleansing my skin with Yon-Ka products Chelseé went to work on my face with the CACI Ultra machine. 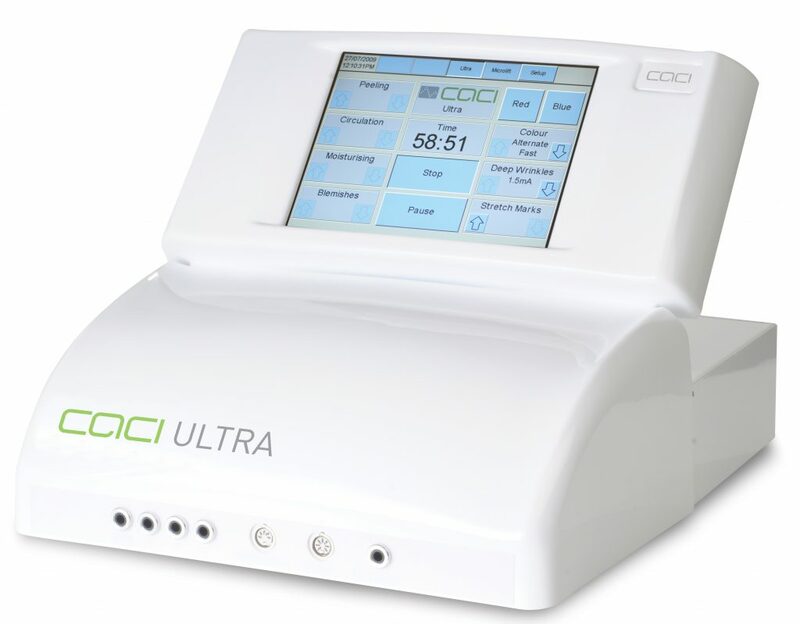 The CACI Ultra system incorporates 4 different technologies within one state of the art treatment device, Microcurrent, Ultrasonic Peel, Hydratone and LED Light Therapy photo stimulation. This microcurrent is moved over your entire face to stimulate your 32 facial muscles back into action. Sounds painful but in fact it was completely bearable, if a little prickly at times on the more sensitive parts of your face. The system utilises a special ultrasonic handset that vibrates at 27,000 vibrations per second on the skin surface to exfoliate and deep cleanse the epidermis. Ultra’s unique wrinkle comb applicator is used to effectively and painlessly plump out and soften deep lines and wrinkles thereby providing a needle free alternative to dermal fillers using LED light. LED light therapy (blue light) helps with healing sensitive skin, rosacea and removing bacteria. The red light helps with uneven skin tone and natural collagen renewal. As someone in their 30’s who suffers from sensitive skin and sometimes eczema I was looking forward to seeing how the LED technology would help with these complaints. Also as someone who is somewhat scared of derma fillers and semi permanent cosmetic procedures I was hoping that CACI would provide a surgery free alternative to reducing wrinkles and fine lines. After the treatment Chelseé moisturized my skin and then showed me the results using a mirror, my skin looked fresher with a healthy glow and the puffiness had disappeared, the skin generally looked more radiant. Had the wrinkles and lines been reduced? Unfortunately there was no noticeable difference here BUT CACI do suggest to maximize results a course of CACI treatments are advised, much like going to the gym you need to keep at it for long lasting results! Despite my wrinkles not diminishing the CACI Ultra Facial with Chelseé Lewis was an interesting experience that opened my eyes to LED technology and the power of a good therapist knowing how to analyse and treat my skin. Chelseé Lewis is obviously very good at her job and is dedicated to getting the best possible result for her clients, whatever that may be. 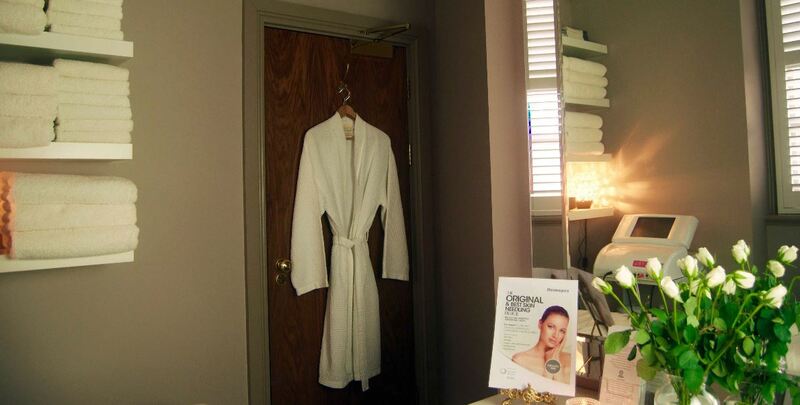 Based on my experience I would highly recommend visiting Chelseé if for nothing else than a through analysis of your skin and a dam good cleanse, after all Chelseé is the ‘The Exfoliating Queen’!